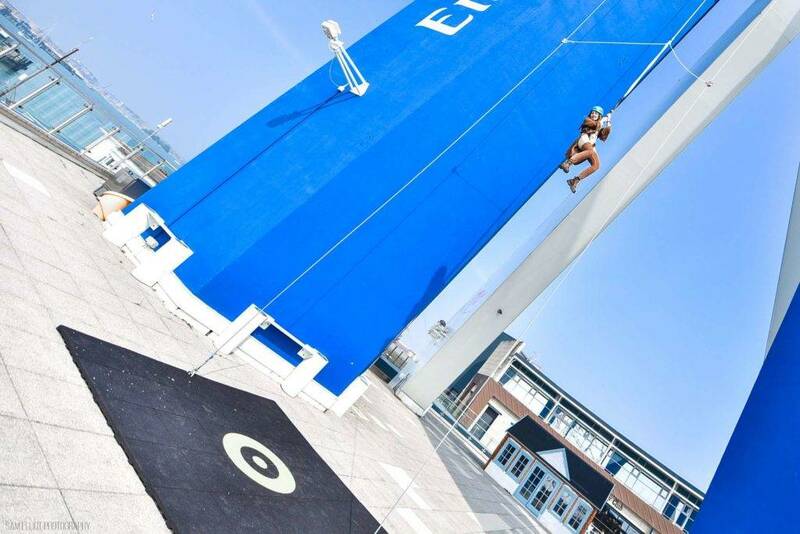 Superheroes take on Emirates Spinnaker Tower’s ‘The Drop’ in the countdown to Portsmouth Comic Con! 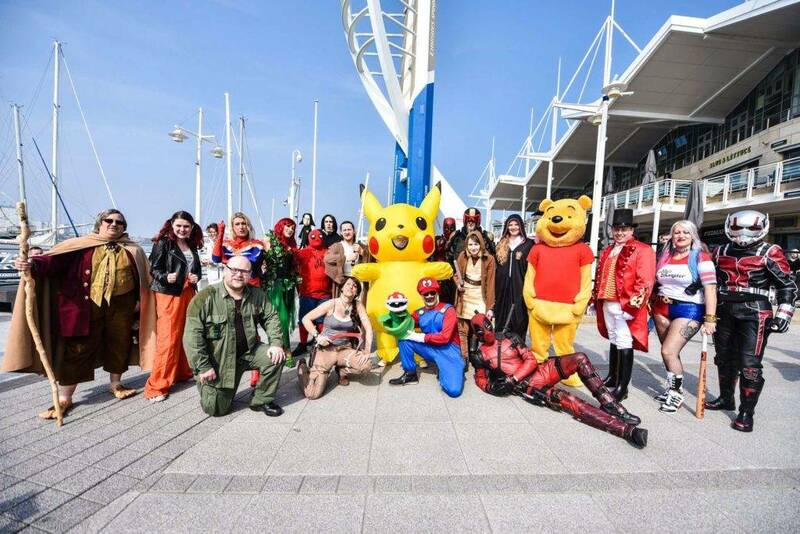 With less than one month to go until Portsmouth Comic Con – International Festival of Comics returns to Portsmouth Guildhall and to mark the reopening of ‘The Drop’ attraction for the summer season, Emirates Spinnaker Tower yesterday saw the largest number of caped crusaders yet to take the plunge! 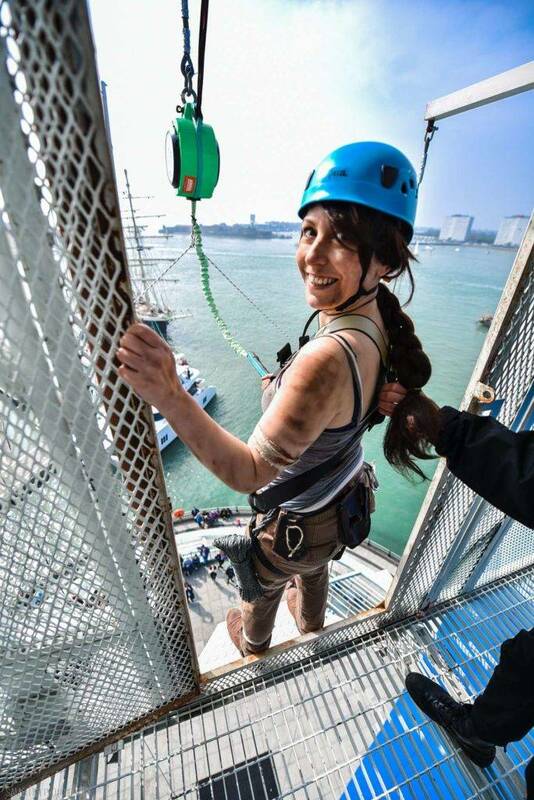 Cosplayers of GoGeek Events (event partner for Portsmouth Comic Con) including PT Barnum, Lara Croft Tomb Raider, Capt Jack Sparrow, Qui John Star Wars, Prof Snape HP, Harley Quinn and Deadpool all braved the adrenaline experience as they took the freefall-style jump from 25m above sea level to the entertainment of the watching crowds below. 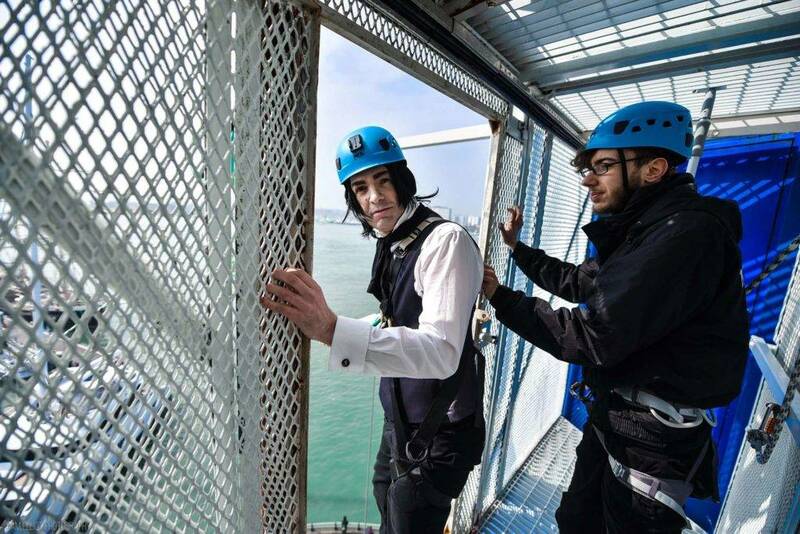 Director of GoGeek Events and cosplayer PT Barnum, Mark Hendley described the experience saying, “It was thrilling, it was scary, it was exciting but most of all it was really good fun and it was great to add a splash of Geeky colour to the Emirates Spinnaker Tower!”.  Cosplay is a big part of Portsmouth Comic Con which takes place on Saturday 4th and Sunday 5th May, with a Carnival of Cosplay stage and daily competitions being hosted by GoGeek Events.  A sell out event in 2018, the Con brings the best of comic, film, TV and pop culture entertainment welcoming some of the greatest artist and writers of the comic industry along with stars of the screen and an incredible range of panels, displays and exhibitions. Fun for all the family includes VR, motion capture, an LED Sabre school, robots, retro and board gaming, a Steampunk deck, a Delorean, a Comic City full of merch and collectables and much more! 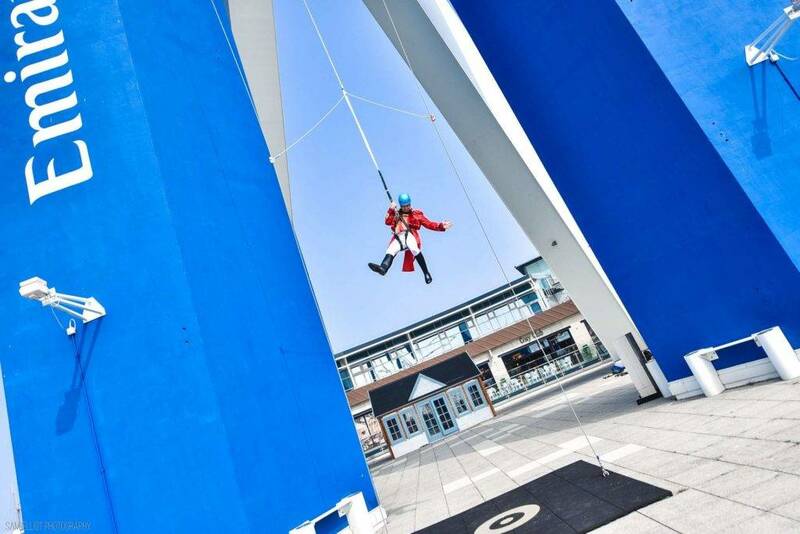 Suitable for ages 11+, tickets for The Drop are available with or without entry to Emirates Spinnaker Tower all summer at www.spinnakertower.co.uk.